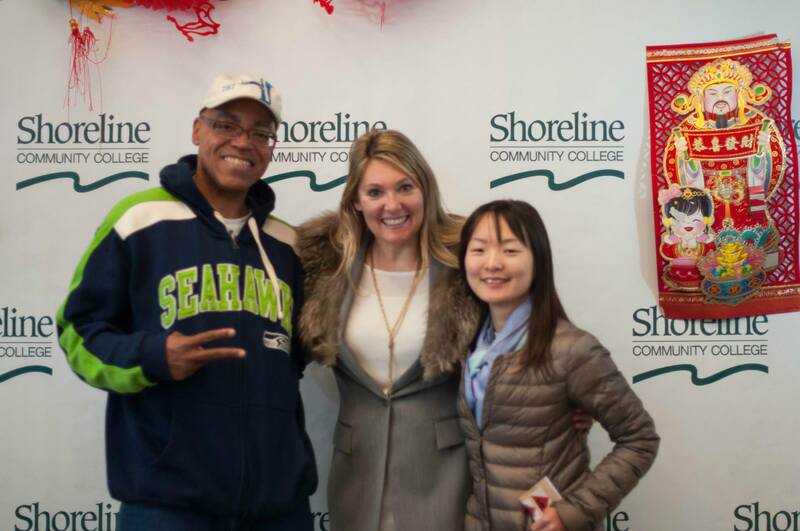 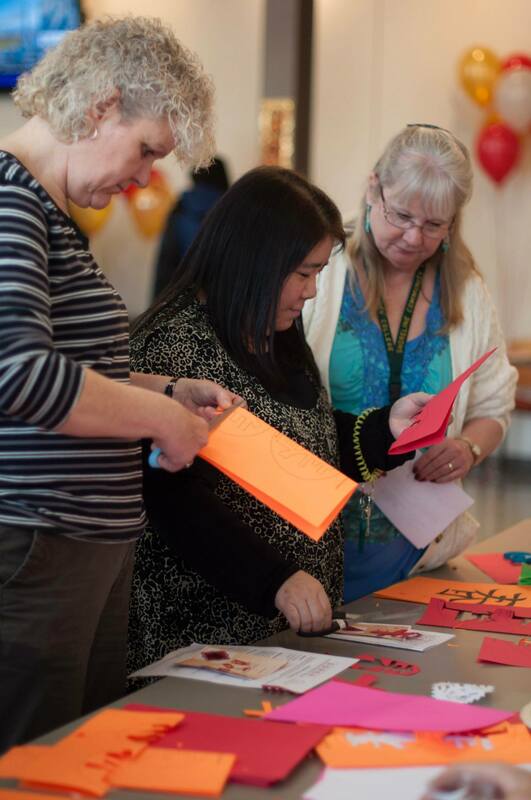 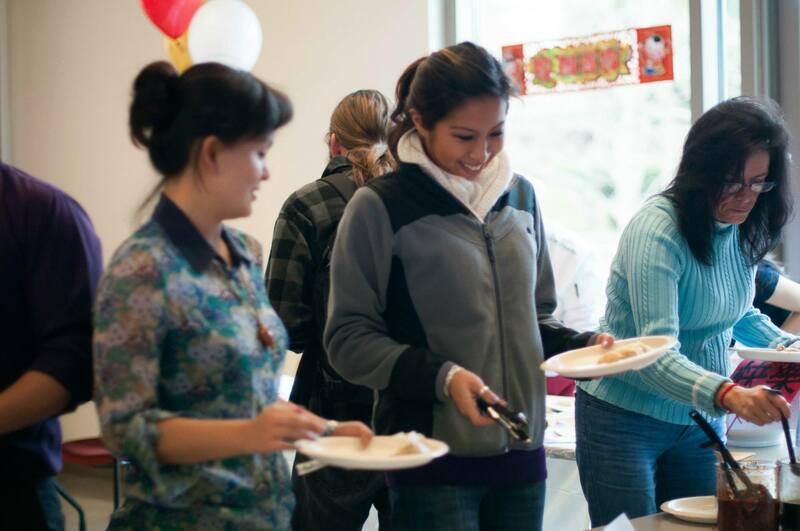 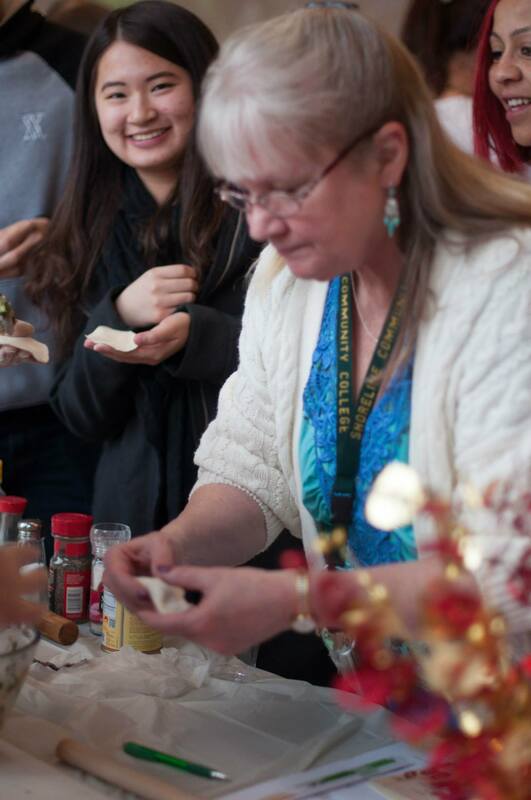 On February 24th, 2015 International Education department partnered with the Confucius Institute of Washington State and offer a traditional Lunar New Year Celebration in Quiet Dining Room at Shoreline Community College. 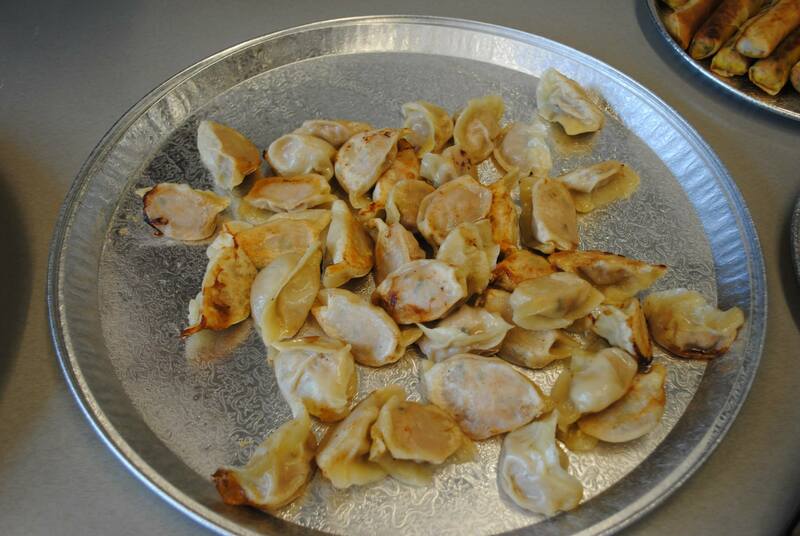 There were lots of delicious food including, Chinese dumplings, spring rolls, tofu salad and spice beef tender. 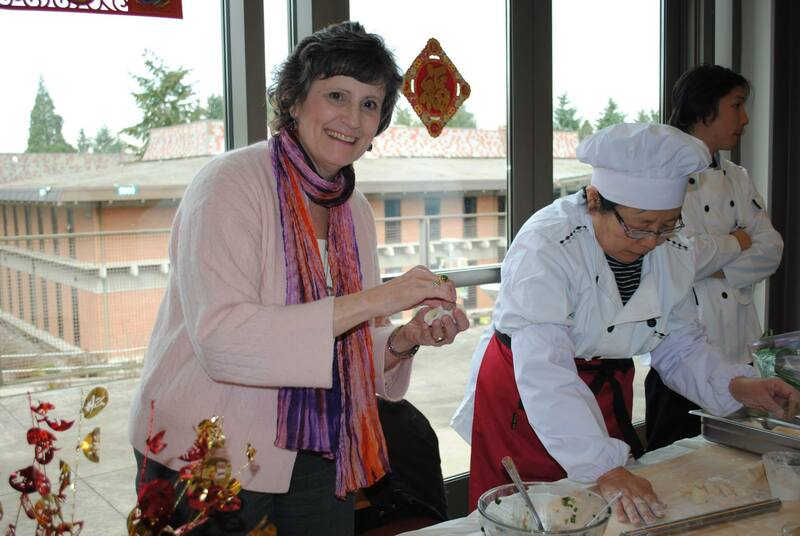 At the same time, participants enjoyed various cultural actives. 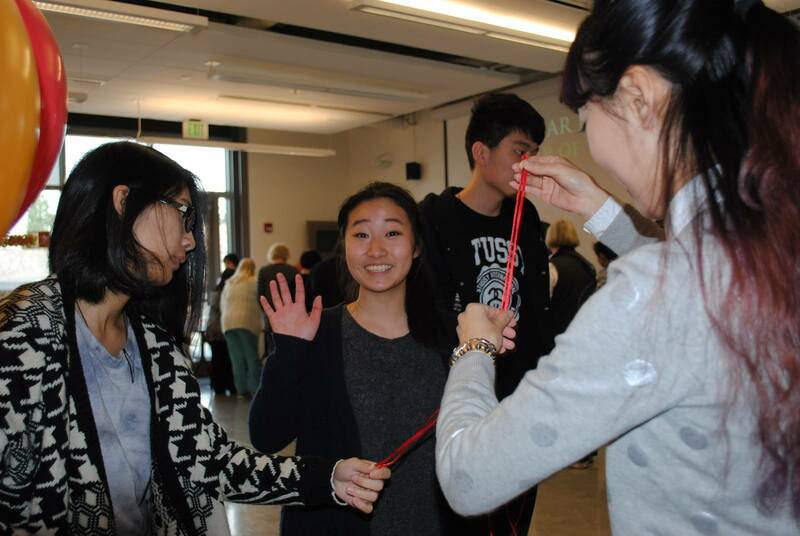 Some people learnt their name in Chinese and wrote in traditional calligraphy; others made fortune knot and cut red papers for the Year of Goat. 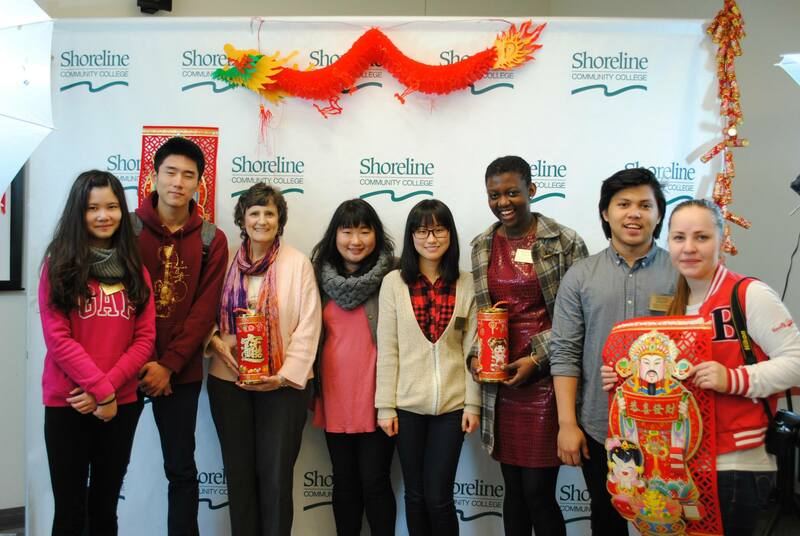 Over 300 Shoreline students, faculties and community members attended the Lunar New Year Celebration. 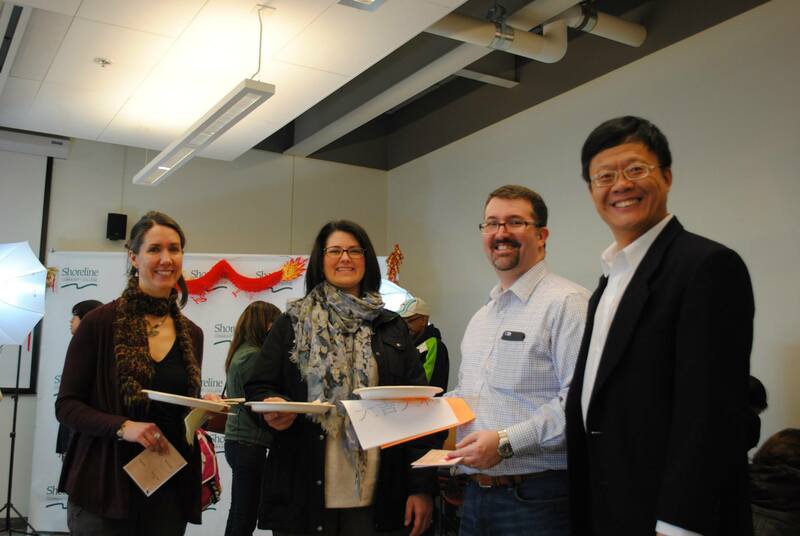 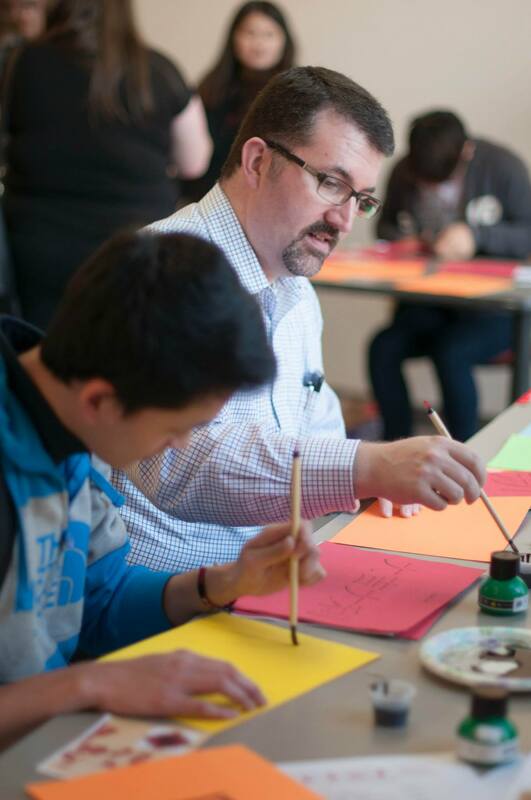 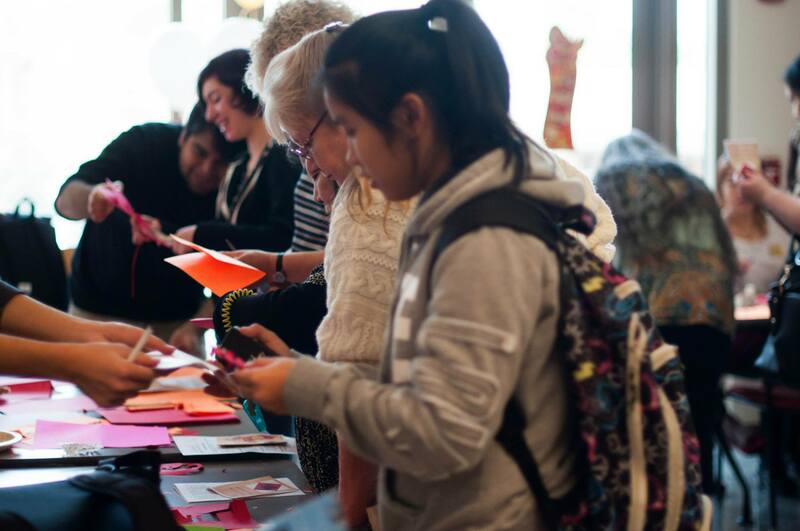 This event was made possible by a grant the College received from the Confucius Institute of Washington to promote Chinese language and culture on campus and in the community. 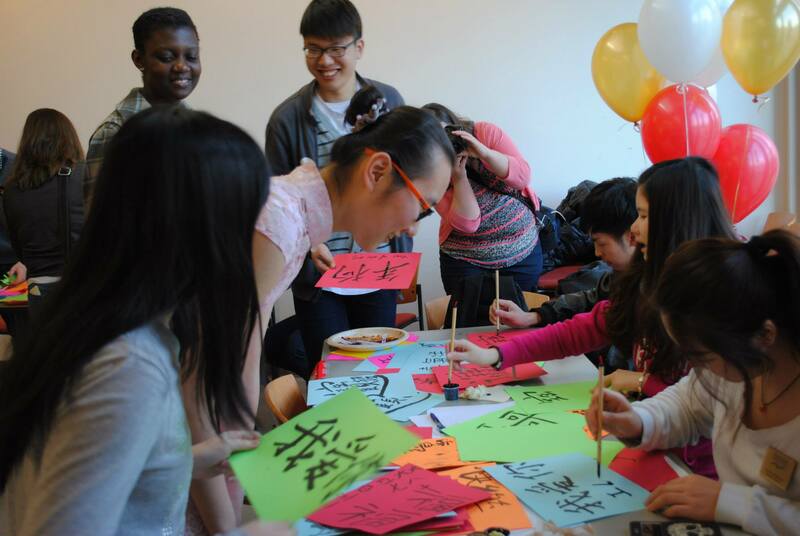 A lot of international students also contribute their talents through three student clubs and organizations, such Lunar Chinese Culture Club, Hong Kong Student Association and Photography Club.